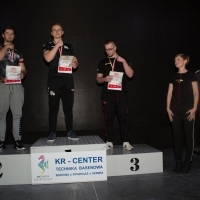 The European Armwrestling Federation reports that the sample of one athlete has returned an Adverse Analytical Finding in connection with the 2017 European Armwrestling & Para-Armwrestling Championship. As a consequence, Elena Usatova (Russia) is provisionally suspended in view of a potential anti-doping rule violation. The EAF will not make any further comments on the case until it is closed.